This is not whogohost review: I would be doing a whogohost tutorial right here on this post and show you exactly how to make or create a website with whogohost hosting. For this tutorial we are going to create a wordpress website or blog easily and fast using whogohost hosting. What Whogohost is all about? Is the Hosting good enought? Is whogohost domain registrar worth it? I won’t go through giving a whogohost review because if a company like GTbank is using whogohost hosting for their website. Then you can use too without fears. They are reliable. They are one of the Nigeria’s leading Web Hosting and Domain Registration company, providing SME and reseller web hosting with WordPress and Joomla. If you are looking to create your blog or website and looking for a Nigerian hosting, then whogohost is best place to go. Years Back when I started online, I had no Idea of creating a website or blog. Thanks to Google and some friends who helped me on the way in purchasing my first hosting and domain. Domain Name: Name of your website which you usually buy at the price of N1500 – N4200. Ex: google.com is the domain name. Web Hosting : Web hosting is where all files of your website are stored and are accessible around the globe. Whogohost is a top reputed company to host your website and you also get one free .com.ng domain name, so it makes it easier for a newbie to start his or her own blog. Firstly, you are going to need an account with Whogohost so head over to or click www.whogohost.com and click on Register an Account. Fill the necessary details with your best email. Now click on Register to finish your registration. Make sure you check your email to verify your Account. You will be taken to your Dashboard. Now its time for you to chose from the hosting plan of your choice starting from aspiring to giant hosting. I would advice you go for Pro or Pro Plus. If you go for the Pro Plus , you pay N13,500 annually (per year). Below are their Hosting Plan Prices ranging from smallest to Largest. Now that you’ve decided on the one to go with, Simply click on Order Now as seen in the above screenshot. From the next place you are taken to, you are to choose which domain you want to use. As stated earlier, your domain can be something like www.mydomain.com, www.google.com, www.myblog.net etc. Click on Check to know if nobody has registered it already. If it returns a congratulation message, then you are good to go. But if it shows opposite then you have to try another name. After done with the above step, click on continue. The next step is very important. You need to choose your billing cycle which means how often you want to be paying for your domain and hosting. You should choose yearly here so that you can save funds. Click on the drop down under billing cycle and select annually then click Continue. The next and final step is to Pay for your hosting. Now you need to click Checkout (the green button with arrow) Use this Coupon Code WGH10SH in the space for coupon on checkout. You will be provided with different Payment Methods. Select the one that best suits you and Complete your Payment. Holla! You just purchased domain name and hosting from whogohost. You can follow the below guide to install a WordPress on your Whogohost account. Overall with Whogohost, you will be having least headache when it comes to hosting management. WordPress is world’s most popular blogging platform, and Whogohost is rated as top shared hosting for running WordPress blog. Starting from at least N400 per month along with one free .ng domain, Whogohost is an idle hosting choice for the majority of WordPress users. Using this tutorial, anyone with no prior knowledge of WordPress can install WordPress, and in I will share how you can start using WordPress. If you have not yet bought Whogohost account, below is discounted link, which will also get you one free .ng domain. So I assume you have your Whogohost login details with you. Go to whogohost.com, click on Account Login and use your credentials to login to your Whogohost Account. Once you are inside your Dashboard, click on Cpanel. If you have not been paying attention since, then you need to in this part. You can install WordPress on your domain without www or with www: (Ex: domain.com, www.domain.com) : I prefer stripping off www, as this will keep my domain name short, and will make sharing easier on social sites like Twitter. Moreover, these days www in the domain name doesn’t serve any purpose. 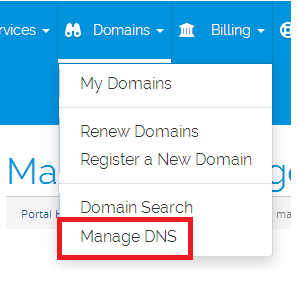 Sitename: Set the site name you want to use. For example, here at this site, I use Tipsonblogging. Admin Username: Keep it something other than admin. (Admin is common, and can be used for brute force attack). Pass: Keep a complex password. That’s it, and now select the Terms and condition box, and click on Install now. It will take approximately 30-60 seconds for this script to install your WordPress blog, and it will be displayed on the same screen. Once done, you will see the success message on the screen. Use the login, and login to your newly installed WordPress blog, and start making changes. Your WordPress installation details would be sent to the email you put as well. That’s it, and within few minutes your personal or professional WordPress blog is ready. If you still have any question regarding the same, feel free to let me know via comments. If you enjoyed this few minutes WordPress installation tutorial using whogohost, consider sharing it on Facebook and Google plus. This is one of the quotes I always believed in & it would be unwise for any of us to call anything to be perfect. As an end user, I have had this experience quite a few times, but no downtime lasted more than 10 minutes. Especially a blogger or an E-commerce owner whose whole bread & butter is dependent on their web site, I believe every second of downtime counts. If your sites hosted on Whogohost is down & looking for an alternative to it, I’m suggesting few of the web-hosting companies that you can shift. If your downtime is not more than 10 minutes, you should not move. If your downtime is frequent & Whogohost customer support is unable to help you, then move immediately. Let’s find the web-hosting company which will keep your website up at the time of current crisis. Our #1 Recommended hosting for any website. We personally use this for this blog and our clients. Namecheap has been in existence for a while and according to customer reviews they are one of the best on the internet right now. Namecheap is very cheap around $9.88 first year. Click here to buy hosting. One of the oldest web hosts started in 1996, Bluehost has become the largest brand name when it comes to WordPress hosting. They are an official ‘WordPress’ recommended hosting provider. With Bluehost, you never have to worry about your website being slow even when there is a lot of traffic. Their 24/7 expert support is always there to help when you need it by phone, email, or live chat. They are rated #1 in web hosting for small businesses. They offer Free Domain and a free Site Builder with templates. You can signup with bluehost here. HostGator hosts over 8 million domains and is one of the most popular web hosts in the industry. With 1-click WordPress installation, 99.9% up time guarantee, and 24/7 support, it’s a smart choice for every website owner. SiteGround is one of the most popular and highest rated hosting provider in the WordPress community. They provide unique in-house WordPress speed and security solutions to make your site as fast and secure as possible. They are known for the best 24/7 support in the industry which is why they’re an official ‘WordPress’ recommended hosting provider. SiteGround features include automatic upgrades, built-in WP caching, CDN, one-click staging and GIT version control. They are also one of the few companies offering location specific hosting with 3 data centers in USA, Europe, and Asia. On top of all this, they have а special 60% discount and a Free Domain. Well, for now, these are the options you have as Whogohost alternative. In the coming days as I will find more solutions, will update this post. Then you don’t have to worry because right now you are going to learn it without anyone having to do it for you. Which also means you are going to DIY (Do it yourself). But before we start, I suppose you have already bought a domain from Whogohost? if not then check the post on How to buy domain name from Whogohost. If you already bought a domain name then let’s keep going. Follow the steps carefully to map whogohost domain to your Blogger Blog. Step 4: Input the domain name you just bought from whogohost. make sure it starts with www e.g. www.malegeek.com.ng and click save. Now you would be given two codes as seen below. Don’t have an Idea? No worries am going to teach you step-by-step. 4. Click on Add Zone. your zone is now created but we are not done yet. Click on Add Record (the button in blue) a box would pop up. Click Add Record. Below is the cnames you are to put. In the field for RDATA. Paste the below Google IPs. Do them one after the other by clicking on Add Records..
Make sure you select A as the Type throughout, not CNAME this time. Finally click on Save Changes. Now go back to your Blogger Dashboard and Click Save too. It should save successfully this time. If it doesn’t then you might have missed something. Follow it again. This is how to map whogohost domain to Blogger Blog. If you don’t want to go through the hassle of setting your own website yourself, you can hire me. Need to get your website to number one of google? Then use the keyword ranking beast here. If you have any question, feel free to ask via comment. If you enjoyed this guide, do share with your friends on Facebook, Twitter & Don’t forget to buy me a coffee. Again, this is not a whogohost review but a tutorial. I hope this whogohost tutorial definitely helps you create your own website easily and fast. Thanks for an excellent guide. According to your experience, can you suggest me some good cloud hosting for my WordPress site?